Simply put, we want to help you explore and develop your appreciation for wine by removing the challenge of consistently finding interesting and exceptional wines at outstanding values from the vast array of boutique premium wine producers worldwide. 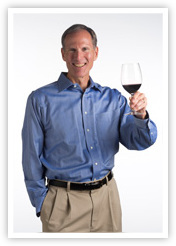 Our two-tiered tasting panel is led by Don Lahey, whose career in wine spans over 40 years as an acknowledged wine educator, syndicated columnist, wine importer, and consultant to New York’s most respected sommeliers. 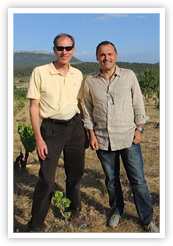 Seven years as an importer required extensive travel, tasting and purchasing and Don became well known for his ability to source fine wines from boutique estates worldwide. Read an interview with Don Lahey. To bring you two exceptional selections each month, we pay close attention to each wine's appearance, aromatic profile, body and balance, varietal character and style, intensity, finish, and of course, its overall flavor and appeal. When it comes to the making of great wine, we feel that less (additives, manipulation, interference, or sculpturing) is generally more. 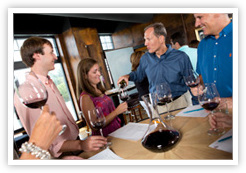 Our primary tasting panel is comprised of 10 sommeliers, professional tasters, and winemakers. They rate each wine considered, of which only the top 10% are sent to our secondary panel which includes upwards of 30 or more tasters. Together, both panels employ the gamut of wine enthusiasts - from novice enophiles to those with decades of experience importing wine. Ultimately, the diversity of preference, experience, and taste that exists within our customer base is well represented in our selection process. 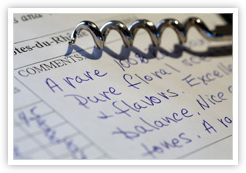 We inspect vineyards, meet with winemakers, and most importantly, taste wines. 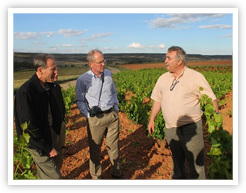 Over the years, Don and select panel members have traveled to Italy’s Piedmont region, the Ribera del Duero and Rioja regions of Spain, as well as top producing wine countries such as Chile, the US, Australia, France and South Africa. Absolutely critical to discovering exceptional limited production wines at great values are the relationships that Don has developed over the years as an importer, as our buyer, and by traveling to the wineries themselves. Our longstanding highly regarded reputation in the industry creates opportunities to pick up exclusive buys on hard-to-find, limited run vintage wine. Strong winery relationships have enabled us to offer our members wines that have been exclusively imported for our club members such as the Nash Family Vineyards 2008 Rhinoceros Hill Shiraz from South Africa.